There are more than 3,500 roach species, 57 of them in the United States. The smokey brown (Periplaneta fuliginosa), German (Blattella germanica), American (Periplaneta americana, waterbug or Palmetto bug), Oriental (Blatta orientalis, waterbugs or black beetle), Asian (Blattella asahinai), woods (Cryptocercus punctulatus) and brown-banded (Supella longipalpa) roaches are most common in the United States. Roaches have few natural enemies. They are adaptable and extremely hardy, able to survive 30 days without water and up to three months without food. They prefer carbohydrates, and feed on almost any vegetable material; they have even been known to eat the starch in book bindings. 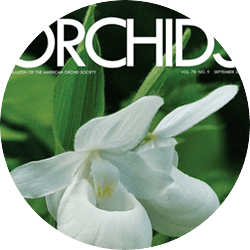 In addition to damaging orchids, roaches are a health hazard, carrying disease-causing bacteria harmful to humans. Roaches can be destructive pests in the home as well as the greenhouse. Roaches are primarily nocturnal and thrive in home and greenhouse conditions. Prolific breeders, an egg-laying female can produce several thousand offspring in a single year. Eggs hatch into nymphs that molt several times before maturity. The adults of some species fly. 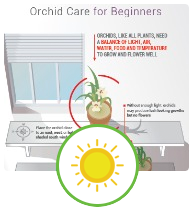 Roaches enter orchid pots through drainage holes. 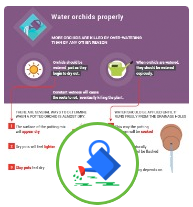 Outdoor plants are especially vulnerable, particularly if kept on the ground. Roaches are nocturnal feeders, so their presence is usually noticed only after plant damage (nibbled flowers, root tips and roots and new growth) has occurred. To keep roaches out, close off cracks around pipes and electric lines in the home or greenhouse with cement or screening. Keep the growing environment clean and free of leaf litter that provides food and cover. Indoors, caulk cracks along baseboards, walls, cupboards and around pipes, sinks and bathtub fixtures. Seal food tightly, do not leave pet food out, rinse used dishes left overnight and restrict access to water. Approaches to managing roaches include natural repellents, dusts, baits and mechanical controls. The effectiveness of each method may vary, and combinations of treatments may be necessary. -- Dr. Bronner’s Eucalyptus or Peppermint Soap: 2 ounces per gallon of water (57 ml per 4.5 l). -- Garlic or Rosemary oil: 3 ounces per gallon of water (85 ml per 4.5 l), with a teaspoon (5 ml) of mild dishwashing soap as a spreader/sticker. -- Insecticidal soap, mixed per package instructions. Add a few drops of white glue and 2-3 boric acid tablets to the bottom of 35mm film canisters. 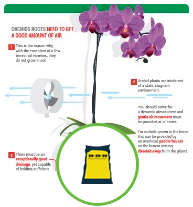 When dry, set cans horizontally on surface of orchid pots. Because roaches will eat other dead and dying roaches, baits provide primary and secondary control. Roaches learn to avoid chemically treated products so chemical baits lose effectiveness long-term. Simple, homemade baits can also be useful. Inside the home, set equal parts borax and granulated sugar in small shallow containers placed near where roaches are found. Borax is toxic to humans and pets and should not be used in areas accessible to either. Baking soda is a nontoxic borax substitute; it is said to be equally lethal to roaches. To maintain effectiveness, borax must remain dry — a challenge around plants requiring regular watering. A simple, clever way to achieve this, suggested by Greg Allikas, West Palm Beach, Florida, involves boric acid tablets (available in grocery stores) and empty 35mm film cans. Squeeze a few drops of white glue (such as Elmer’s) in the bottom of the cans and drop a couple of boric acid tabs into the glue. 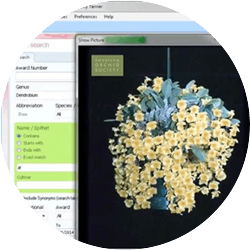 Let the glue dry, then set the film cans horizontally on the surface of the plant’s medium. Edibles such as molasses or sugar syrup may be added to the tablets, but roaches will eat plain borax and the sweets may also attract ants. Many lizards eat roaches, and may be released into an enclosed outdoor growing area. They are sensitive to insecticides and pesticides, so are an option only where such controls are not used. Place cockroach sticky traps in areas roaches frequent, and where exposure to water is unlikely to impede their effectiveness. Once full, traps can be discarded. To drive roaches from a potted orchid, immerse the pot, over the top of the media, in water. Roaches will emerge to avoid drowning, and can be dropped into a pail of hot soapy water, killing them. Three applications of products containing Diazinon, Dursban or Baygon at two-week intervals, sprayed deep into cracks and crevices, will kill successive generations. Always use any chemical in strict accordance with manufacturer’s instructions. Moschetti, Rocco. Low Toxicity Pest Control Bulletin: Diatomaceous Earth and Silica Aerogel. IPM Alaska. 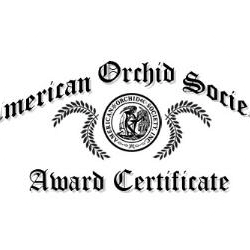 Orchid Pests and Diseases. 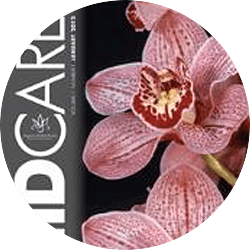 Growing Orchids in Canberra. 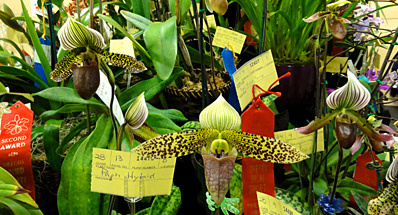 Orchid Society of Canberra, Australia. Strunk, Timothy. Solving Pest Problems: Cockroaches. Western Michigan University, Division of Student Affairs. Swicegood, Carolyn. Safe and Natural Pest Control: Cockroaches. The Land of Vos Web site.